SPLIT SCREEN STIFF is an abstract expressionist installation. 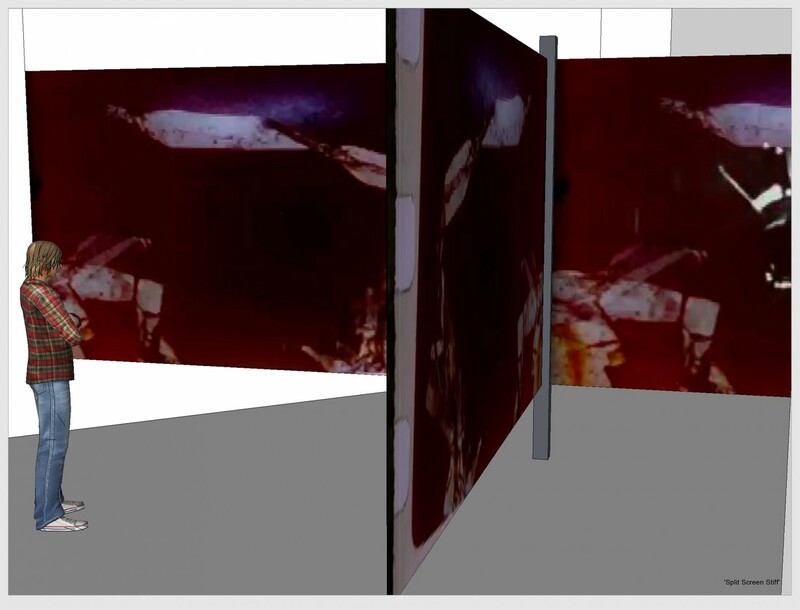 It is a rhythmic triptych, devided on four screens about the use of human cadavers in medical research. The tranparent screens create a cross shape construction, and all four images are visible simultaneously from all directions, from front and back. The framework of the installation is an interview with Dr Dimitrios Kallieris (of Heidelberg University), who covers the history of crash tests, the research methods, and the tests’ medical significance and findings. The formal structure of the installation is based on the act of chopping up speech to establish a certain rhythmical structures. The interview with Dr Kallieris is divided and presented in the left and right screens. The middle screens present mainly classic footage – archive tapes, diagrams, photographs, etc. Rapid cuts between the facial shots in the outer frames, repetition of key terms and words and the rhythm established thereby, together these elements create an almost musical sequence with repetition in which the interviewee seems to be having a conversation with himself. The interview footage is black-and-white, accentuating its pixelised quality and difference from the color images. 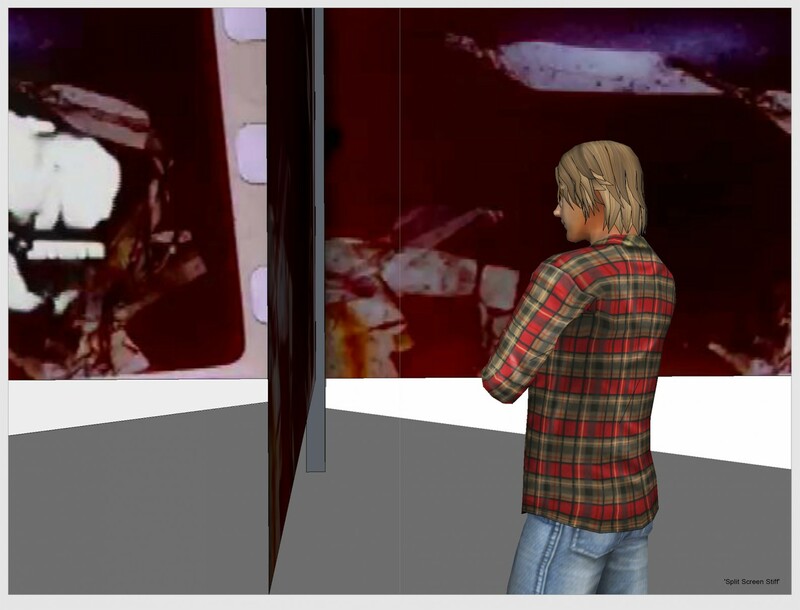 Some of the other footage is also monochromatic, especially the symbolic images and transitions in the middle screens. The color footage has been hand-painted directly on film and treated with the various poisonious chemicals, so that the colours have changed completely and turned into painternly moving images. The musicality of the installation is also underlined by the use of this hand-painted, superimposed color footage. 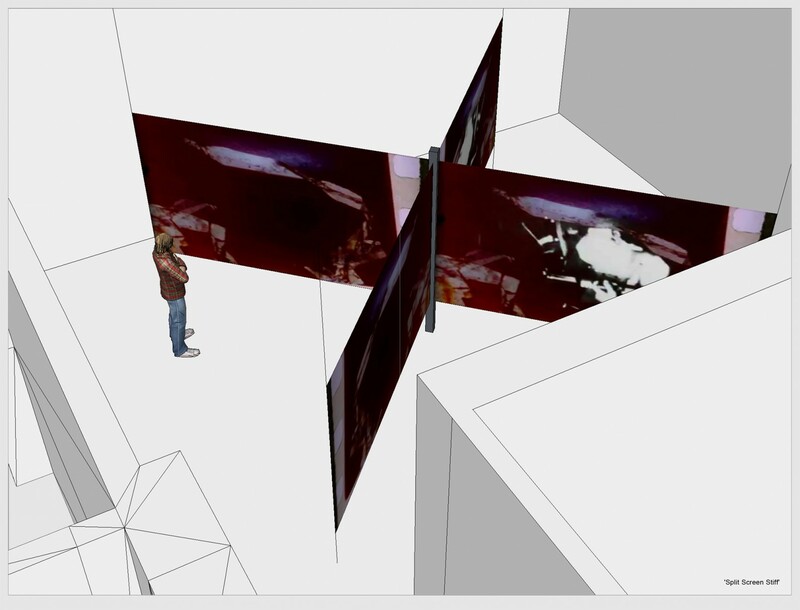 The soundscape of the installation consists of manipulated sounds that are mixed to resemble musique concrète. The sounds are taken from recordings made in the shooting situation, but also include individual words, speech sounds, sighs, breathing, etc. taken from the interview. These are all presented under the rhythmic speech that conveys the information. On the soundtrack, this sound material is mixed with contemporary classical music.